Ho Ho Ho – that’s my lyrical take on Oh What A Night! – The Christmas Edition that came down the metaphorical chimney at Kelowna Community Theatre and brought a sleigh-full of yuletide melodies to the Okanagan. 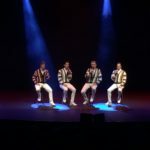 In front of an almost-packed house, many adorned in seasonal red and green, this internationally renowned revue was headlined by a tribute to Frankie Valli and the Four Seasons. Sherry Baby, my ears and eyes adored it. 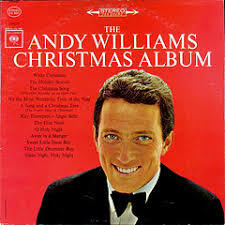 Lest we forget, this choreographed sing-along also promised a sugar-coated batch of Christmas carols from legendary hit-maker Andy Williams as a throwback to his televised holiday specials of yore. I would describe the evening’s tale of two sections this way – Valli and his songs were the sturdy and robust Christmas tree, while all the old-fashioned lights and decorations on the tree were courtesy of Mr. Moon River. The performance started out as a total Valli high. Four boy-next-door performers – James Bullard, Paul Holmquist, Katch Gray, and Rob Hyatt – took the stage and seamlessly belted out Oh What a Night, Sherry, Big Girls Don’t Cry, Walk Like a Man, and Rag Doll/Candy Girl in rapid-fire succession. These guys only came up for air to share family-friendly anecdotes and tell wisecrack jokes. Later in the set came Silence is Golden, Tell it to the Rain, Grease, My Eyes Adored You, and Can’t Take my Eyes Off You. The crowd was groovin’ and clappin’ right along with this feel-good reindeer-and-pony show. For those who had seen the Broadway version of Jersey Boys, this performance was right in that lofty wheelhouse. After intermission, the boys came out in red blazers, white slacks, and white shoes and went deeper into the Frankie playlist. After a few songs, you could sense the audience was almost overdosing on Valli-um and craving songs about St. Nick and boughs of holly. Ask and you shall receive. After a quick wardrobe change, the fab four reappeared in striped cardigans and it was game on for holiday cheer. What ensued was a Christmas medley of White Christmas, I’ll be Home for Christmas, The Christmas Song, Jingle Bells, Have Yourself a Merry Little Christmas, and the crowd-pleasing Moon River. This arrangement was the angel ornament on top of the aforementioned tree. Then out of left field came a two-song curveball that nobody saw coming. The guys donned white baseball caps and became rappers (or is that wrappers?) singing the Andy Williams Christmas Rap. It was energetic and well-received. Next up was a total original – the Eight Nights of Hanukkah sung to the very familiar tune of the Twelve Days of Christmas. You had to hear it to believe it. For instance, “five kosher pickles” replaced five golden rings. “A bagel with a schmear of cream cheese” replaced a partridge in a pear tree. I found out after the show that Oh What a Night! producer/director Michael Chapman wrote this creative knockoff. A tip of the yarmulke to him. Big Finish – Oh What a Night! has a stage-act cousin known as Four By Four. On April 2, 2018, Four By Four will be returning to Kelowna Community Theatre with a refreshed musical tribute to The Beach Boys, The Beatles, The Bee Gees, and Motown. We heard it through the grapevine, tickets are on sale now at the KCT box office. Beautifully written… and very poetic. 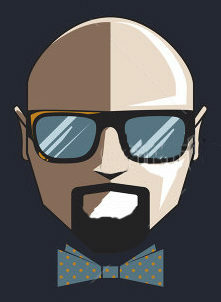 You are a gifted writer and know Great Entertainment when you hear it… Great job, Regular Guy!